The Alliance for Accountable Governance (AFAG), a pressure group has made enquiries at the Ghana Police Service about the status of the complaint they filed against the National Democratic Congress (NDC) Chairman Dr. Kwabena Adjei following his infamous outburst against the judiciary. The grouping, sought the arrest of the NDC National Chairman, when they lodged formal complaint at Nima Police Station in Accra on September 9, 2010. 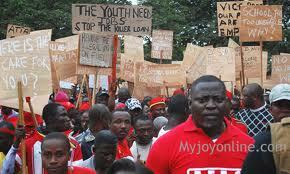 Upon lodging the complaint, the police invited Dr. Adjei to the CID headquarters for questioning. The outburst, AFAG had maintained, contributed to Justice Anthony Oppong’s recuse from the Ya Na murder trial and a general instilling of fear and panic among members of the bench. The mission to the Nima Police Station, according to AFAG, was not without drama when it appeared according to them a certain tint of unusualness in the procedure. AFAG was among many groups and individuals who expressed disgust at the outburst of Dr. Kwabena Adjei, NDC National Chairman when he took on the judiciary with his infamous “many ways of killing a cat”. He was provoked by the acquittal and discharge of Tarzan and Kwadwo Mpiani in the Ghana@50 celebration trial and other cases involving former government officials during the tenure of President John Agyekum Kufuor. Dr. Adjei, whose political antecedents are rooted in the revolutionary PNDC junta, threatened the judiciary with a purge if members of this arm of government do not embark upon such a purging programme themselves. His reference to the many options available for killing the cat when asked how he was going to purge the judiciary was what brought about public outcry. Those who condemned him did soon the basis that the outburst emanating especially from a man who was associated with the junta under whose tenure three high court judges were abducted and murdered under mysterious circumstances sent chilling reminders to Ghanaians with a sense of that piece of history. He refused to apologize, defending himself however that he was misquoted even as the leader of the party, President Mills, pledged his support for the independence of the judiciary, a pledge which cynics accepted with a pinch of salt. Ripples from that infamous outburst which attracted a reaction from the usually recluse association of judges and magistrates continue to feature in local politics.